March 14, 2018. George Soule testified today to the Minnesota Supreme Court in favor of amendments to Rule 10 of the Minnesota General Rules of Practice. Rule 10 permits Minnesota district courts to enforce orders and judgments from Tribal Courts. The proposed amendments – supported by the Minnesota Tribal Court State Court Forum and the Minnesota Supreme Court Advisory Committee on the General Rules of Practice – would strengthen the rule to provide for enforcement of Tribal Court orders. As a Tribal Court Judge for four Minnesota tribes, George is a member of the Forum. George is past President of the Minnesota American Indian Bar Association. You can read Minnesota Lawyer’s article about the hearing Comity rule for tribal court orders nears finish line here. February 26, 2018. Soule & Stull joined other Twin Cities law firms and businesses to sponsor the 3rd Annual Division of Indian Work LEAP Event on September 26. DIW provides food, clothing and other services to American Indian individuals and families in need throughout our community. 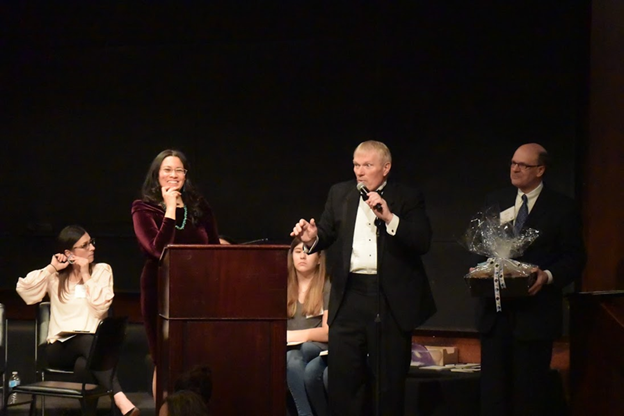 Over 300 people attended the event – to raise funds for DIW food shelf and youth development programs. 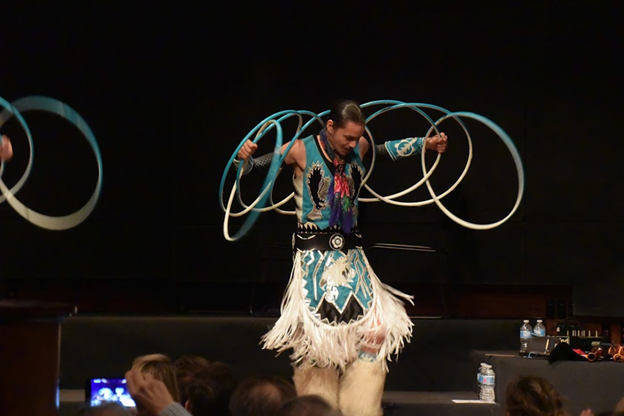 The event featured native drummers, musicians and dancers, and silent and live auctions. George’s chocolate chip cookies were auctioned again this year; the winning bids totaled $850. George serves on the DIW Board of Directors. January 27, 2018. Soule & Stull celebrated its Fourth Anniversary with family at Butcher & the Boar in Minneapolis. George Soule and Melissa Stull started their firm in February 2014. Kelly Street and Kevin Curry have been with the firm almost from its start, Meghan Feliciano joined us in 2016, and Alice McGlave and Anna Veit-Carter started in 2017. Retired Justice Paul Anderson and Judge John McShane provide mediation and arbitration and consulting services. “We have several trials on our docket in 2018, which promises to be our most productive year,” George Soule said. The firm focuses on product liability, commercial litigation, personal injury and property damage, Indian law, appeals, and alternative dispute resolution. Happy Holidays from Soule & Stull at Minnehaha Falls! Soule & Stull welcomes Anna Veit-Carter! Soule & Stull and Friends Celebrate Fall DECK PARTY on October 5! September 15, 2017. George Soule spoke today at the 2017 Judicial Boot Camp sponsored by the Minnesota American Indian Bar Association and Infinity Project. 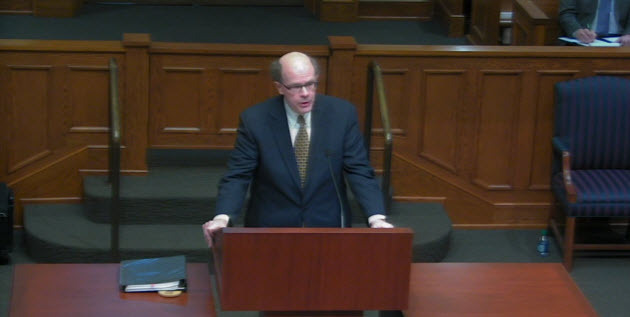 George discussed strategies for preparing for and seeking a judicial appointment. 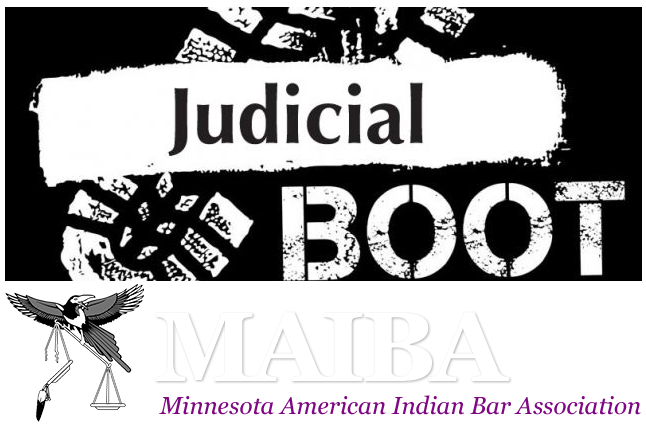 He participated on panels with United States Magistrate Judge Tony Leung, Minnesota Supreme Court Justice Natalie Hudson, and White Earth Nation Chief Judge Robert Blaeser. The seminar was intended to prepare American Indian lawyers to achieve judicial positions – on state, federal and tribal benches. George is past President of MAIBA and serves on the Board of the Infinity Project. September 12, 2017. 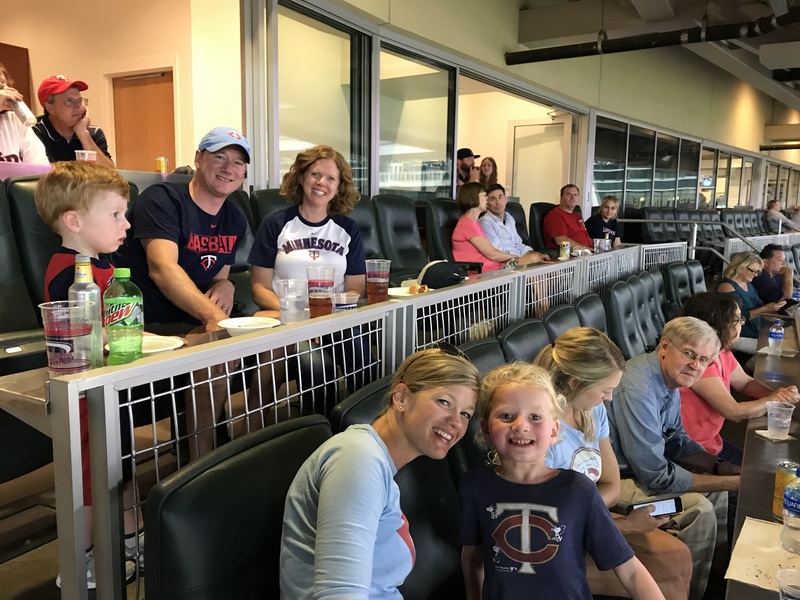 Soule & Stull attorneys, clients, family and friends attended tonight’s Twins v. Padres game in the Minnesota Ballpark Authority Suite. (The Twins hit home runs in the first seven innings and won 16-0!) The firm “won” use of the suite in a raffle sponsored by Daily Work, a St. Paul non-profit agency that provides case management, coaching and technical help to struggling job seekers in the community. Soule & Stull is proud to support the work of Daily Work. August 2017. The Lower Sioux Indian Community appointed George Soule to serve as Appellate Judge. George will hear appeals from the Community’s Tribal Court. George is now an appellate judge for four of Minnesota’s 11 tribes, including the White Earth Band of Ojibwe, Prairie Island Indian Community, and Fond du Lac Band of Lake Superior Chippewa. George is a member of the White Earth Band and is a past President of the Minnesota American Indian Bar Association. Soule & Stull focuses on product liability, commercial litigation, personal injury and property damage, Indian law, appeals, and alternative dispute resolution. The firm’s attorneys have tried over 70 cases to verdict in 20 states and coordinate litigation nationwide.